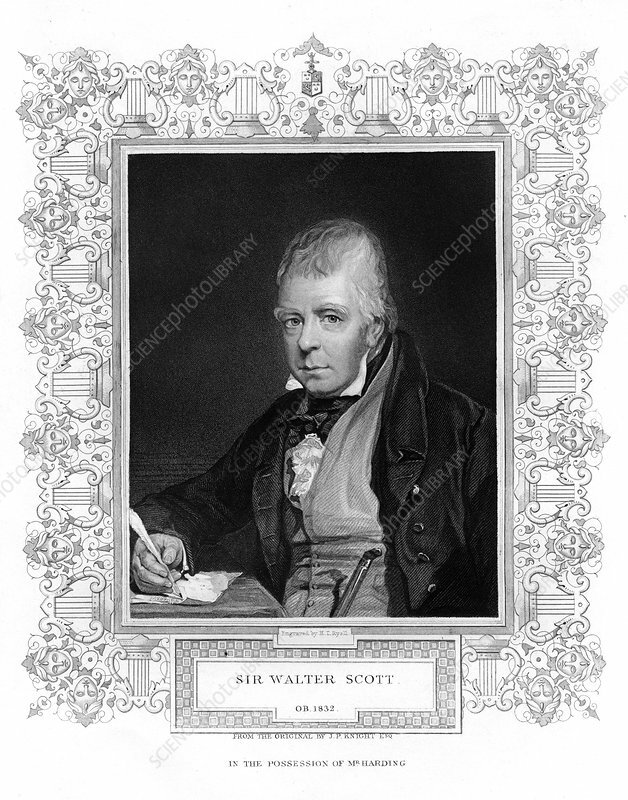 Sir Walter Scott, 1st Baronet, prolific Scottish historical novelist and poet, 19th century. Portrait of Scott (1771-1832), author of Ivanhoe. Artist: Henry Thomas Ryall.